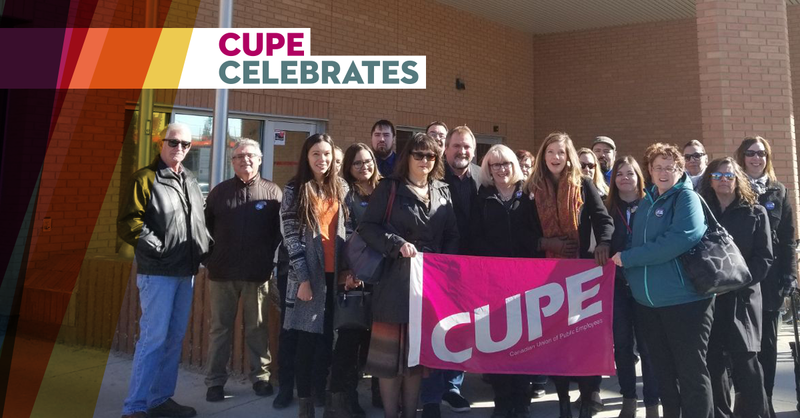 Members of CUPE Local 1949 have successfully fought back against contracting out at Legal Aid Saskatchewan. Through a mediated process, Saskatchewan Legal Aid and CUPE Local 1949 have reached an agreement about some of the recent issues put forward in the union’s unfair labour practice. The dispute arose when Legal Aid moved to contract out duty counsel work to the private bar and to lay off several Legal Aid employees. The deal, which was signed on November 22, 2018, is a win for the union. Legal Aid has agreed to bring 4.5 full time positions back in house and to limit further contracting out. The agreement also states that the parties will review the Application Centre, a controversial centralized call centre for members of the public to apply for legal aid, by Oct. 1, 2019. Hundreds of people wrote letters to the Minister of Justice and submitted letters to local newspapers. Members of the local also successfully connected with allies in the legal community and the broader social movements. While this agreement is a positive step forward, the local is still facing issues at the bargaining table. CUPE Local 1949 has been without a new collective agreement since 2016, and the employer is seeking concessions at the bargaining table. CUPE members working in Saskatchewan’s 12 Legal Aid offices recently voted in favour of job action. CUPE Local 1949 represents more than 130 Legal Aid employees, including lawyers and administrative staff, in 12 offices across Saskatchewan.